No, I’m not having a garage sale nor am I selling all my worldly belongings on eBay in order to fund a life of travel. What I am doing or attempting to do, is to sell products that feature my art and photography. How you might ask? Well, I’m giving the print on demand service Redbubble a test run to see if there is a demand for my style of art and photography. To be honest, the majority of products will feature my photographs because very little of my artwork has been digitised and it will take time for me to build up a digital collection of art with the appropriate resolution for printing. Redbubble is an online marketplace to which artists can upload their artwork for placement of products such as t-shirts, smartphone cases, tote bags and more. 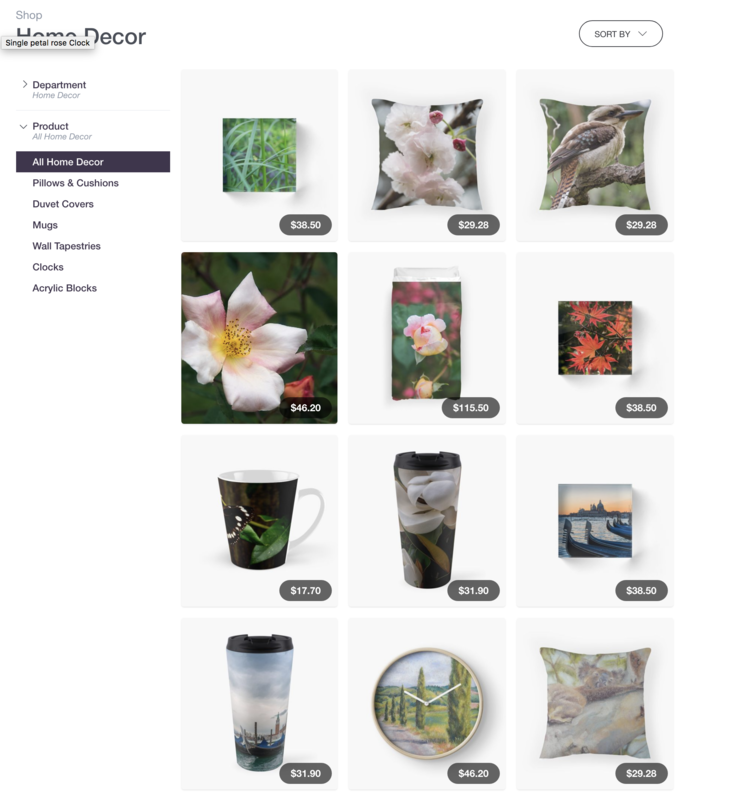 There are a variety of these services available online, you may have heard of Zazzle, Fine Art America, and Society6. Why did I choose Redbubble? For starters, it cost me nothing to set up the site and I don’t have to pay upfront for products to be created, nor do I have to worry about storage or shipping costs. All costs are covered by the commission that Redbubble takes when products are sold, a business model that does not suit everyone however it meets my needs for now. In addition, Redbubble is an Australian based company that was founded in Melbourne back in 2006. So, if you have the time and the inclination to check out my stuff please let me know what you think. In the future, I would like to add more of my illustrations as well as a few designs that demonstrate my love for dogs. My site https://www.redbubble.com/people/sammijk is in its infancy and constructive feedback is most welcome. This week’s photo challenge encourages participating bloggers to think about where they would rather be at this moment. For me it is a no-brainer and although there are times when I wish I was in Paris or Venice or the highlands of Scotland, if given the choice I would rather be beside my little mate Bundy. Travel is grand, a weekend away a delight but I hate leaving Bundy behind and wherever I go I wish I could have him with me. With Bundy I am never alone, even when he is sound asleep and seeing his happy face as he runs across the sand or grass fills my heart with joy. My brother and his wife purchased a property in the Hunter Valley, New South Wales only to discover that once valuable farm machinery had been left behind. 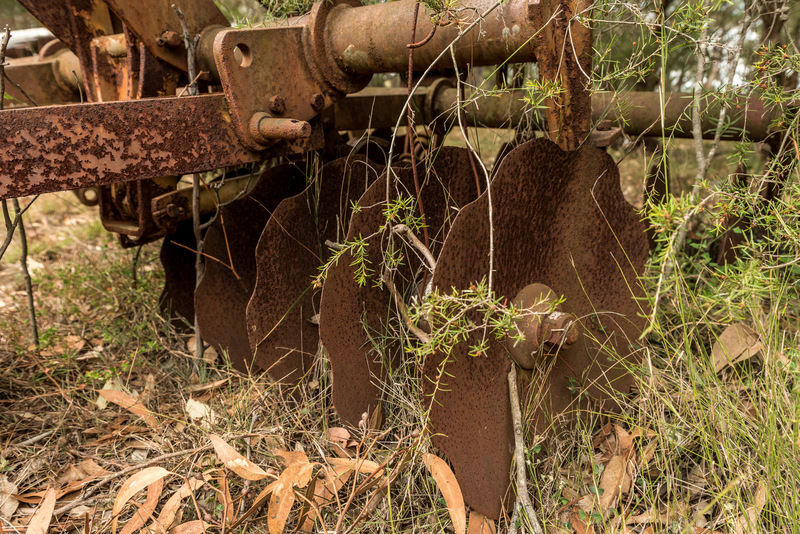 The property is 80 percent bushland but it is obvious that work had been done in the past, wire fences barely standing and among the trees equipment such as this old plough have been left to weather the elements.